Whether your dashboard has been faded due to UV rays from the sun, a crack in it from an angry teenager, a burn from a cigarette, or a number of other damages that can affect the hard surfaces of your vehicle. We offer a variety of services to repair damage to the hard surfaces of your interior. Plastic or rubber steering wheels with cracks can be restored. Dashboards with fading will be refinished to their factory condition, bringing out the original vibrant color. 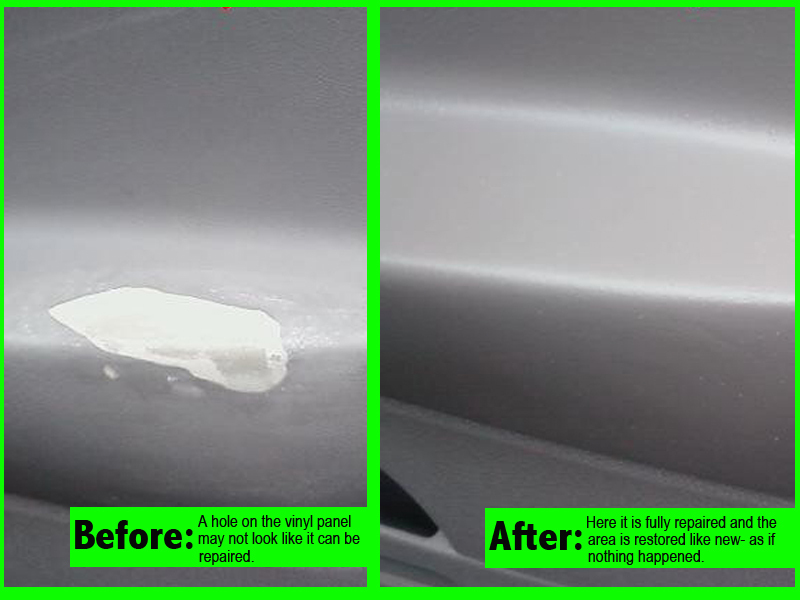 Interior panels can be renewed. Contact us for more information: 330-252-9011. For more before and after photos, click here.